Thanks. 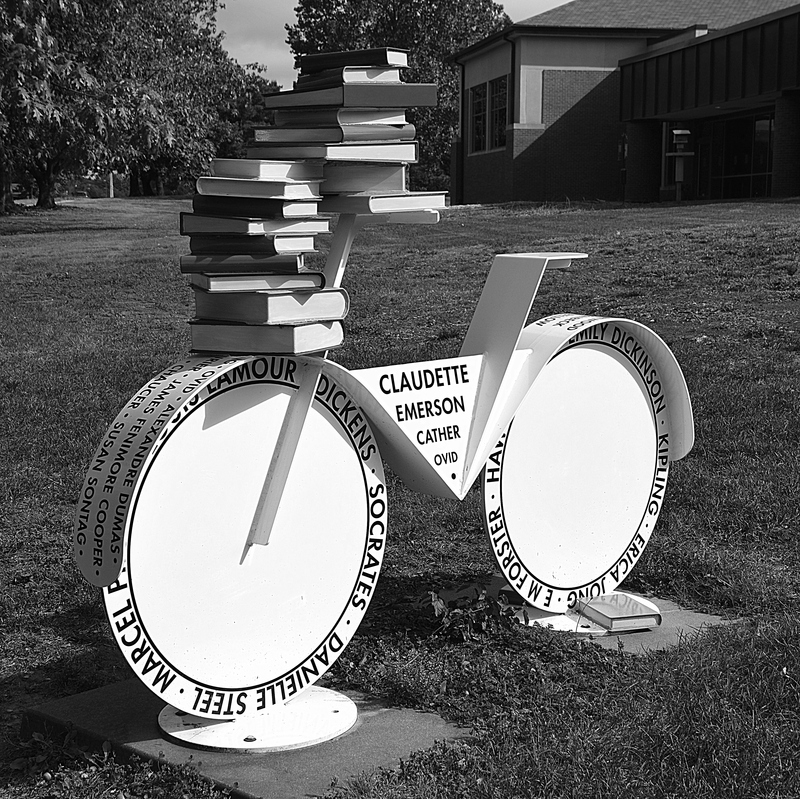 It was just one of a number of public art bike sculptures. Yes, public libraries provide great opportunities for all in the community. 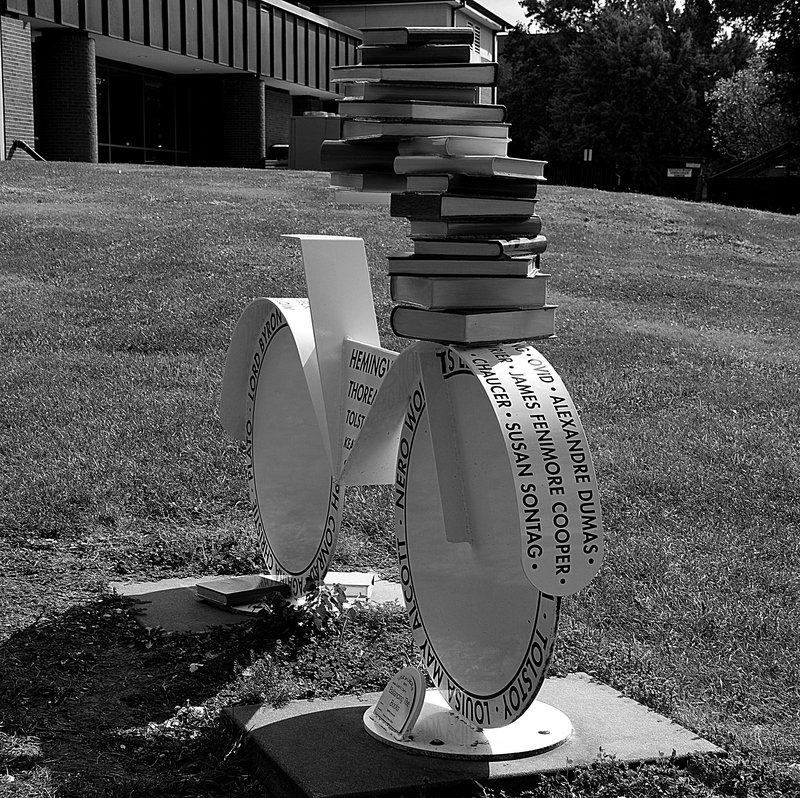 It’s one of my favorites of the over 70 bike sculptures across the city. let us keep those wheels greased. 70 bike sculptures in the city… WOW! This one is sure great. Love this post! Thanks. The bikes are still a great addition to the city, even though completed years ago.